This recipe is for one of the most traditional fine sweets of Pelotas, and incidentally one of the most popular items annually at Brazil's National Fair of Sweets, FENADOCE. (Click here to read more about FENADOCE). 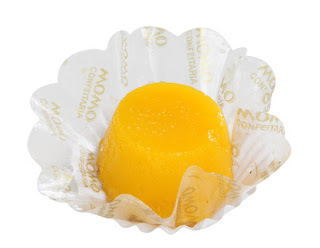 It is a direct descendant of the sweets baked in ancient times in the convents of Portugal, and sold through the door of the convent to support the sisters inside. It is called quindim (pronounced keen-jean), and it is an extremely simple recipe, with only three ingredients. Though simple to make, it is extremely rich and very sweet, and one small quindim will satisfy all but the most rabid sweet-eater. Pass the egg yolks through a fine sieve into a large mixing bowl. Add the sugar, and mix carefully by hand. Put the mixture into a heavy medium saucepan, and heat over medium-low heat, stirring constantly, until the sugar dissolves and the mixture flows from a spoon in a thin string. Remove from heat. Let the mixture cool a few minutes, then add the coconut and melted butter. Stir slowly and carefully to mix. Divide the mixture among 8 ramekins or custard cups which have been greased with soft butter and dusted with granulated sugar. Place in a bain-marie or water bath, and place in pre-heated oven. Cook for 30 to 40 minutes, or until a toothpick stuck in a quindim comes out clean. Let cool, unmold if desired, and serve at room temperature or chilled. 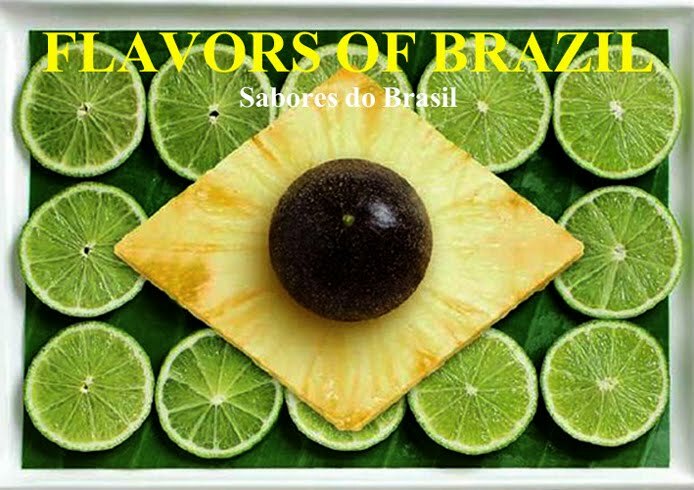 RECIPE - Make your own "carne de sol"
Carne de Sol - Brazil's "Meat of the Sun"